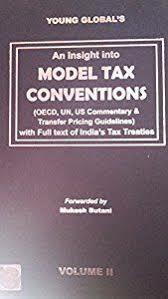 Volume 1 & 2 provides full version of the OECD Model Tax Convention on Income and Capital, released in November 2015 by OECD, the Commentaries, the NONOECD economies’ positions, the Recommendation of the OECD Council, the historical notes, the detailed list of conventions between OECD member countries and the full text of a number of background reports adopted after 1977. Previous reports related to the Model Tax Convention. Volume 3 provides Commentaries on articles of UN & US Model Double Taxation Convention & OECD Transfer Pricing Guidelines for Multinational Enterprises & Tax Administrations. Volume 4 provides full text of India’s Tax Treaties. This book is a very useful for tax practitioner around the world, including tax officials, tax consultants, accountants, advocates, as well as people working in the area of international business relations.